This is my first review on the blog. I picked this product, when I went for shopping with my husband to a nearest departmental store last week. I mainly bought this to decorate my son's evening snack bowl as it is a NUT based cream. Nuts are always rich in protein. Isn't it? The tempting chocolate flavour of this cream would also attract kids! So let us move on to the review now. Go ahead! Sugar, Edible vegetable oil, Hazel nuts, Low fat cocoa powder, Skimmed cow milk powder, whey powder, Emulsifier and Flavouring. This is a smooth buttery cream which is thick and chocolate brown in colour. 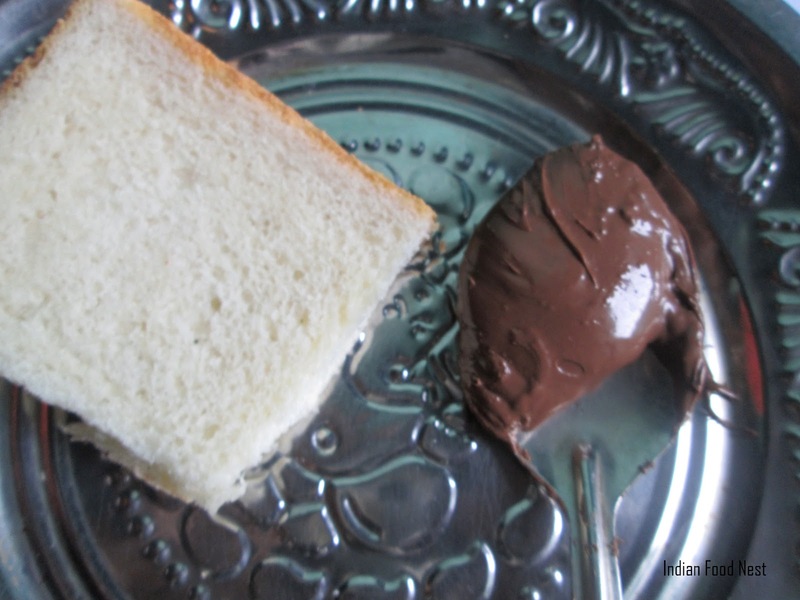 It has a very pleasant chocolate like smell which is mild enough and not over powering. I pair up this cream with toasts, rotis, biscuits and such. We can also use this as a topping on desserts and different milkshakes. It tastes creamy, sweet and delicious. Go for this product, if you have chocolate loving kids in your home as this is a protein rich with yummy chocolate flavoured food item. Than getting your kids bar chocolates and other sweets, this nut based protein cream is so much better for health. Overall I am very much impressed and satisfied with this product. Definitely yes! My children love this. Who wouldn't be loving such a tasty and healthy snack? This make my morning breakfast work easy. So, go grab one if you're a working mom like me; and of course to serve your kids with a protein-rich snack. 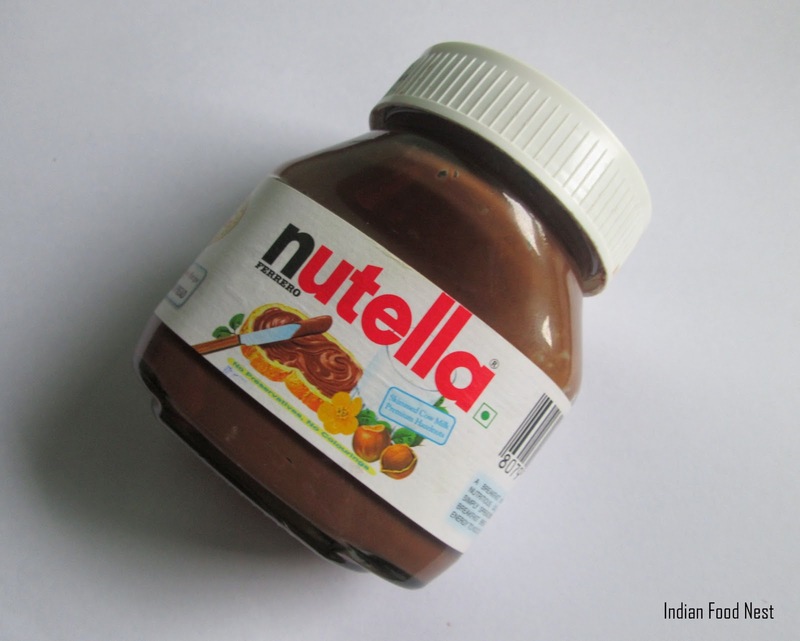 So have you tried Nutella Hazel Nut Cocoa Spread? Do you like it? Welcome to Indian Food Nest!